I have been interested in creating the DeLorme Challenge cache since early 2005, but never took the initiative to get it started. I recently ran across a forum thread where folks were talking about the challenge and I decided to see if there was a DeLorme Challenge cache for the Volunteer State and to my surprise there was not one to be found! Believe me, I know this cache is not for everyone, the beautiful state of Tennessee is long and lean and that means there will be a lot of stops at your favorite gas stations along the way to the final cache. But with most things worthwhile, a little effort, time, sweat and blood is usually required!! The first DeLorme Challenge cache was listed for the state of California back in 2004 by geocacher Haicoole. I have combined a few ideas from the various DeLorme Challenge caches across the country to come up with what you see here, The Tennessee DeLorme Challenge. 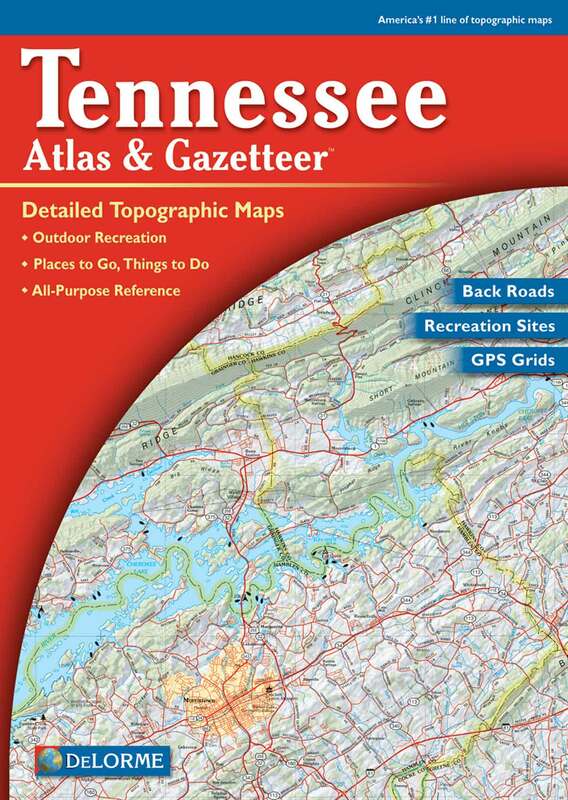 The DeLorme Atlas is published for all 50 states and can be found at many locations, including truck stops and online directly from DeLorme but you must use the 7th Edition which has 69 grids in Tennessee to complete your find. The goal of the Challenge is to find a cache on each page of the Tennessee State DeLorme Atlas. In order to log this cache, you must qualify by finding a traditional cache on every marked square (that means if there are two sections on a page, you must find a cache in each section) of the 7th Version of the Tennessee Delorme Atlas. You can find any traditional cache located on the DeLorme page as long as the cache is within the longitude and latitude grids that are in the DeLorme map page. There are several online tools to help you determine your eligibility to log this cache. You can use a bookmark list, one of the online verification tools to verify that you qualify, just make sure to post the information in your log. Please note, you may not log the final stage of this cache until you have found the final container and signed the log. The posted coordinates are now the actual coordinates for the cache, this has been changed from the original listing to comply with current Geocaching.com Challenge Cache Guidelines. There is no date restriction on this listing, caches found prior to the creation of the Tennessee DeLorme challenge count as long as all other Challenge requirements are met. All Geocaching.com caches and cache types count in the Tennessee DeLorme Challenge. The listed coordinates on each cache page are the determining factor for where the cache is located, even if the final location falls on another page. If a Tennessee DeLorme Atlas page includes space not located in Tennessee, only caches in the Tennessee portion will count. A total of 69 cache finds will be required to complete the Tennessee Challenge. Remember you must use the 7th Edition of the DeLorme Atlas!!! *VERY IMPORTANT!! ** If you do not have a 7th edition of the Atlas, you may use the incredible tool offered by Cajunabear which can be dowloaded at Tennessee Delorme Gazette. While you may have other cachers with you when you find the final cache, only those who have fulfilled ALL criteria for this cache will be allowed to log it as a find. Find logs by other cachers will be deleted. If you have any questions, let me know. I will be glad to talk to you about your progress and will try to answer any questions you might have. If you fail to complete the challenge as directed above and post a find, your log will be deleted at the discretion of the cache owner. Have fun! !